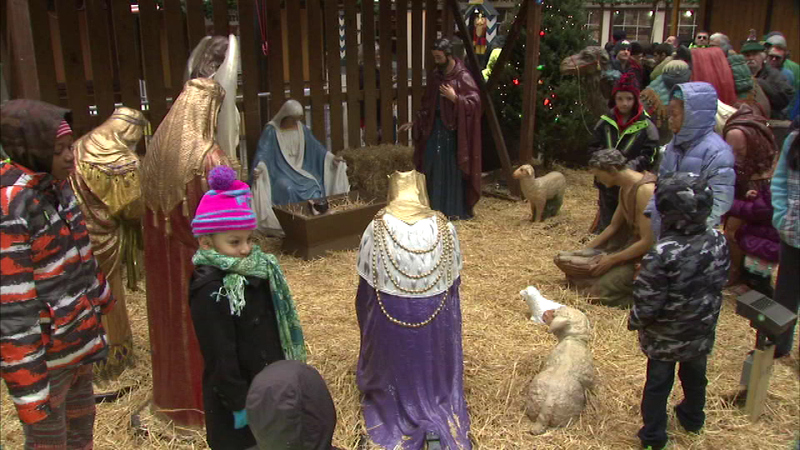 A Chicago holiday tradition that's been around for more than 30 years returned to Daley Plaza Saturday. CHICAGO (WLS) -- A Chicago holiday tradition that's been around for more than 30 years returned to Daley Plaza Saturday. It's a life sized nativity scene. A group of people who call themselves the God Squad assembled the manger for a life-sized nativity scene. Then they brought in the figures of Joseph, Mary, the wise men and even a camel or two. Choirs performed as a group of children placed the baby Jesus figurine into the manger.